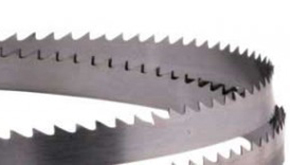 Our guide to band saw blade explains proper break-in techniques for new blades and a troubleshooting guide for the following problems: stripping teeth, band breakage, crooked cut, premature dulling of teeth and rough cut. It can be challenging to find the right circular saw blade, but we help make it easy by providing relevant resources. See our listing of available blades and choose the one you need based on material and cut type. 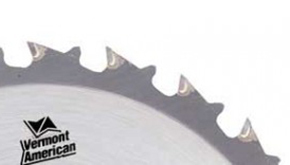 Also, learn various circular saw blade terminology in our dictionary and reference guide. 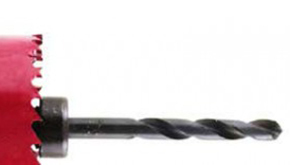 We offer a wide range of drill bits and guides and tips to make the most of our products. 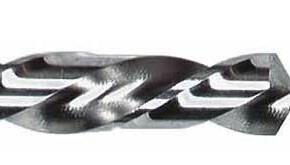 Learn how to choose the right specialty, masonry, wood or twist drill bit for your next project. 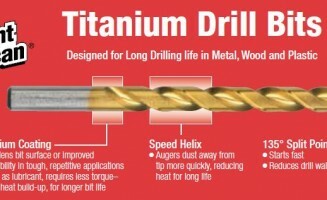 Also find tips for advanced wood drilling and drilling in difficult materials. Learn the difference between bi-metal, fast cut and carbon steel hole saw and their mandrel systems. Also use our recommendations for hole saw care and recommended cutting speeds based on material and diameter. 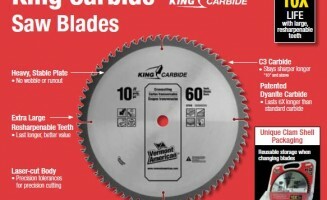 Learn how to select the right jig saw blade for your project. 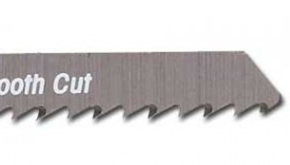 Compare bi-metal, high carbon steel, high speed steel and carbide tipped blades. Also be sure to know how TPI affects the type of cut. 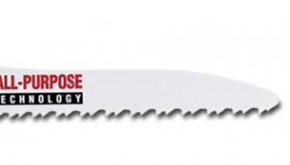 Our guide will help you select the right reciprocating saw blade in just two steps. First, match the blade material to the project and second choose the correct tooth geometry for the type of cut desired. 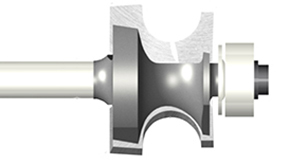 Learn all about our router bits and the difference features between the carbide tipped, titanium coated and high speed steel bits. Use our color coded guide to find the right router bit for your project. 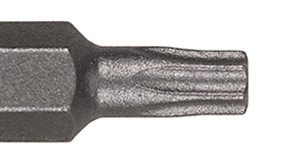 Our screwdriver bit features and terminology guide will help you learn about the many types of bits we offer, how to identify various screw types and screwdriver bit FAQs. 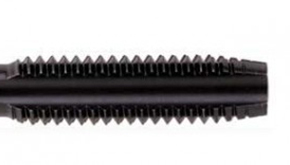 Find the difference between taper, plug and bottoming taps, and use our tap and drill bit selection guide to compare thread nominal size, pitch series, drill size, drill decimal inches, tap size, std., drill size and drill decimal inches. We know that you take pride in you work. We want to reward you for your quality work. Submit your before and after remodel pictures and enter to win one of three accessory sets. 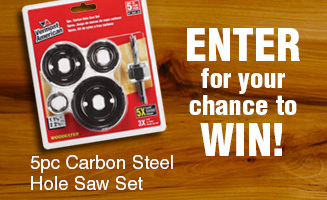 Also enter our Carbon Steel Hole Saw Sweepstakes for a chance to be a monthly winner.